The Right Way To Set Up Your First Aquarium. How To Set Up Your First Aquarium The Right Way. One of the joys of the fish keeping hobby has to be designing an eye catching and pleasing tank set up with all the decor. This can take alot of thought and planning to get the desired effect or it may work straight away with instant success. 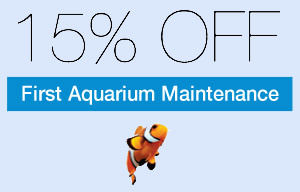 Planning your aquarium can save a lot of time when you actually get to the physical side of putting items into the tank. The planning should also involve researching which types of fish you intend to keep in your tank, this will give you a good idea of the size of tank required and the décor that needs to be added. If the fish need hiding places, then artificial caves or pieces of driftwood can provide them. It maybe that fish are not going to be the main feature of your tank, in some planted tanks, the scenery provided by the plants is the focal point of the tank, and a few fish are merely added for some movement in the scenery. This applies more in a saltwater reef tank where the reefs constructed of living rock adorned with colorful corals are the eye catchers, the fish take second place. There are so many variations that can be used, so much so that whole books have been written about set ups, get an idea in your head then have a look around at what can be purchased to complete your idea in reality. It may be that you can’t find exactly what you are looking for, improvisation also has a place in the fish keeping hobby. Once you have selected the tank that you are going to use, the first major item that you need to consider is the amount of lighting that the tank provides in its basic format. Will it be ample for my set up? Will it provide enough light for the plants or corals I wish to grow? Any lighting unit supplied with any tank can always be upgraded to a more powerful unit, indeed in some cases it might even be a case of subduing the lighting as its too bright. Before adding any decor to the tank consider the positioning of ornaments, rocks, plants etc. Too close to the glass will impede tank cleaning as your gravel cleaner or glass scraper struggles to get to the awkward areas, always leave a reasonable gap between decor and glass. A major part of designing your tank will involve which background to select. You may wish to go for the roll of scenic background that attach to the outside of the tank. There are endless backgrounds to choose from including all sorts of aquatic scenes to just plain blue or black. If you decide the ready made background is not for you painting the outside of the back glass is just as effective plus you can decide which color it is going to be. Substrate is the second item to be added, do we use gravel, sand or even leave the tank with no substrate- this is your choice. There are various gravels, different colored sand to be found available for purchase. Once a substrate has been selected adding the hard decor is the next step. We have all seen the dead mans chest, skulls, and skeleton decor that is available. You can even buy ornaments nowadays to fit a theme. A Japanese theme can be created using bridges, Japanese temples, dragons and various artificial bamboo arrangements. Always clean the ornaments before placing them in the tank to remove any residual dust or flakes that may have settled on them. If you are after a natural looking tank, rocks and wood placed in the tank with plants around them makes for a great aquascape. The rocks you use should be inert so that they dont affect the water chemistry. This is quite easily tested by dropping some vinegar on it and if it doesn’t react then the rock is safe to use. Wood can come in many shapes and forms; mopani wood is very popular for its eccentric shaping. Driftwood creates a definite natural look but it should be water logged first to make sure it will sink. Some keepers will use one large piece of wood as the central focal point; plants are then placed around it to soften the edges. Smaller pieces of wood are sometimes randomly scattered about the tank with rocks in-between. Any wood that is added to the tank should be presoaked to prevent tannins or saps leaching out. Normally the soaking should be for a few days, doing this can prevent future water problems. Planted tanks always use live plants that are selected for their height or lack of height, appearance and to create the perfect aquatic garden. If you are looking for decoration only then plastic plants or silk plants are also available. Nowadays these look so realistic when submerged that a lot of people will choose them to save on pruning and feeding. Some of the larger artificial plants can be quite expensive but look more the part than some of the cheap false looking versions.